The picture of these Black Skimmers in flight was photographed at Nickerson Beach in Nassau County New York where they breed during the summer. 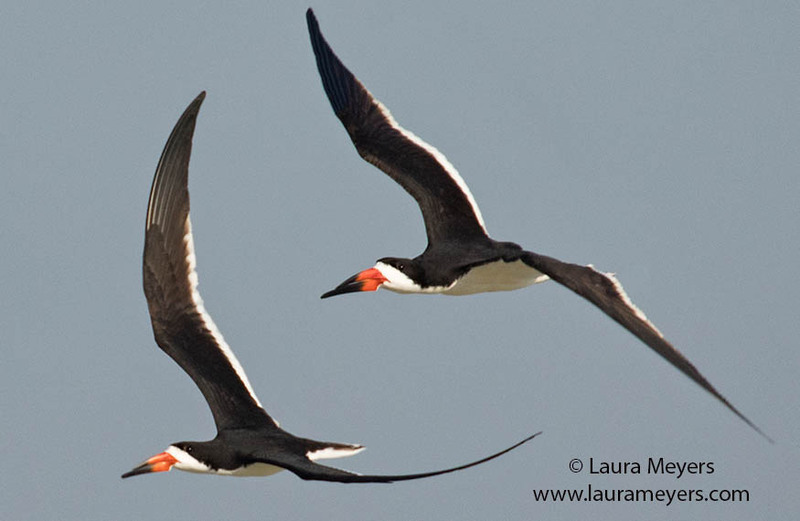 This Black Skimmers in flight were photographed with the Canon 5D Mark IV and the Canon 100-400 II lens. To hear the sounds of the Black Skimmer, click on the arrow below.